On this episode of The Chaise Lounge, one of the top interior design podcasts, Nick chats with Adam Japko from Esteem Media and Phyllis Harbinger jumps in with some business tips on turning leads into paying customers. Adam Japko, a founding member of Esteem Media, always surrounds himself with good wine and good people. With Esteem Media, Adam creates connections amongst design professionals and educates this community on marketing themselves. He’s heavily involved with putting on the Design Bloggers Conference and an additional resulting event, Design and Wine Italy 2016. Adam received great feedback from the first Wine and Design Tour was able to learn a ton from his involvement in planning the trip. In addition, Adam was able to marry his two passions: the personalities of design professionals and discovering new wines. Overall, around thirty design individuals from across the US set off for a week from Venice to Verona. Adam is excited to announce another Wine and Design trip coming up in May of 2017. Serendipitously, Adam had reached out to his High Point relationships and is now leading a blog tour where he recruits ten bloggers to spend two days visiting around fifteen sponsors and vendors. The bloggers are paid and create quality content about the tour and vendors. 2017 is the seventh year for the Design Bloggers Conference. This time, it is located in Los Angeles, California in March. Adam mentioned that you don’t have to be a designer to go. Topics covered include content marketing, mobile phone photography, search, and even podcasting (to be presented by The Chaise Lounge’s Nick May!). Design Bloggers Conference is an opportunity to learn about these topics in addition to the priceless networking that happens at events like this. Since she was a young child, Fran has had a passion for color. She graduated from a two year design program and has worked in the industry for almost 30 years since. As a rep for Benjamin Moore, Fran is a resource for designers and architects. She provides them access to material and the largest and most complete color palette. Fran also supports the specification of products and provides education which can include events, webinars, introducing new products and CEUs. She mentioned that the most popular CEUs currently are 1. How color perception changes as you age, and 2. Creating healthy environments with new technologies. In today’s marketplace, you can get any color anywhere. Any brand will match any competitor’s color. However, each brand has their own formulas and colorants, so matches may never be exact. Color is not the only factor in choosing paint. DIfferent kinds of paints, beyond sheen, display different qualities and levels of serviceability. There are different formulations for different characteristics. For example, all paint is scrubbable, but not all is stain resistant (like, Ben vs Aura). Fran prefers Aura paint in a matte due to the luxurious finish, and that it covers in two coats. VOCs are volatile organic compounds that are carbon based and evaporate into the air. In the past, the concern was around these compounds affecting the ozone layer, but today concern is that VOCs in interior environments are higher, which can affect your lungs, breathing, asthma, and allergies. Paint companies, including Benjamin Moore are creating products with zero VOCs to address this concern. There is a great variety of products available within the industry. Benjamin Moore has grown from one product in nine colors to multiple products in thousands of colors. Specific products to meet specific needs. In the past, many thought that you needed to use semi-gloss only in bathrooms to reduce mold, but now there are specific bathroom products to resist mold and mildew, like hydrophobic paint in a matte finish. The best way to get in touch is through the Benjamin Moore website’s architect and designer locator where you can put in a request for your rep to contact you. Fran recommends connecting with your rep before you need them to start to build a strong working relationship. Phyllis was able to join Nick in person at the Porcelanosa building in the Flatiron District in New York. She began with a recommendation around multiple touch points between a designer and prospect. Rather than a simple, impersonal email or phone call, she suggested meeting in person (when possible) or a Skype call to understand the prospect’s needs and even deliver a scope of work or review a proposal. This allows a designer to read body language and clearly explain away any confusion. Phyllis also suggested to not hold back during consultations and be specific in proposals so that clients know what they are paying for, including and handling or shipping fees. This prevents any surprises later. Phyllis charges a design fee the moves forward with a percentage on product purchased. It is important to be upfront with clients on how you charge too. Phyllis the referred to the paint schedule available in her book that can help ease the process. Everyone will be on the same page with what is happening in each room, colors, sheen, type of paint, etc. While anecdotal stories are helpful for clients to understand what may happen or pop up, it is also important to ask about their budget before accepting a project. Its also a good idea to have all parties sign the agreement and initial each page. Take business classes if this is not your strong suit, and even hire a bookkeeper if you need to. Put Phyllis’s recommendations into action to set yourself up for success! On today’s episode of The Chaise Lounge, we are talking Industry and specifically are talking about the task of Time Management. Nick May, your host, interviews his friend and designer Phyllis Harbinger, and the Creative Director of one of our favorite Sponsors of the show, Ellen O’Neil of Benjamin Moore. Tune in to learn more about organizing your business and your time! On the week’s show, I first talk to our good friend Phyllis Harbinger from Harbinger Design Consulting and designer at Design Concepts/Interiors, LLC. In this episode of Industry, we talk about time management, and how to determine when it’s time to hire someone to help. Phyllis speaks from recent experience regarding the loss of a team member to which she says, “I was presented with my own time management dilemma, but also a dilemma on many different levels, because we bring people in, we spend a lot of time training them, and then we start giving away a lot of the tasks and areas of expertise that we might have owned previously and then we finally have trust and someone who can take that over so we can pursue other parts of the business, and then all of a sudden you are like ‘uh-oh’ because someone can’t come in in two weeks and take that person’s place. “I want people who are listening to understand that just because something works for a certain period of time, doesn’t mean that’s the only way things can work, and to be open to exploring things and course correcting, looking and taking a pulse of our business.” Phyllis talks about the importance of having reserves, and being able to weather the storms that can be typical to the interior design field. Nick runs with what Phyllis is speaking about, and speaks about how he has gone about organizing his business. Phyllis talks about hiring a social media expert, and how quickly her presence on social media has grown in just a short period of time. With social media, Phyllis talks about the importance of keeping your voice in your content that is being posting. Nick and Phyllis talk about the different ways they go about archiving content, whether it be an internal Facebook page or a shared photo stream. “I think that we all effort too much, about too many things, you just said it perfectly, you’re trying to put a square peg in a round hole, we effort, and when you don’t effort and you just say I’m going to do what I need to do and put it out there and the right people are going to show up, and they always do, if you worry about it, nothing good happens.” Phyllis talks about missing things that are right in front of you, and how easy it can be to get caught up in the minutia. Nick, as well as Phyllis, gives advice on how to get started, taking that first step, to save your time for higher value tasks that you are actually passionate about. Phyllis also talks about how fulfilling it can be to hire someone just starting out, who can save you time, and also learn so much from you and your business. To learn more about Phyllis, connect with her Phyllis@harbingerdesign.com, or follow us on Instagram @DCIstudio, Phyllis offers strategy sessions and full coaching programs available. Reach out! Nick gets to know Ellen O’Neill, who is responsible for picking the color of the year, and this year proved to be quite controversial. 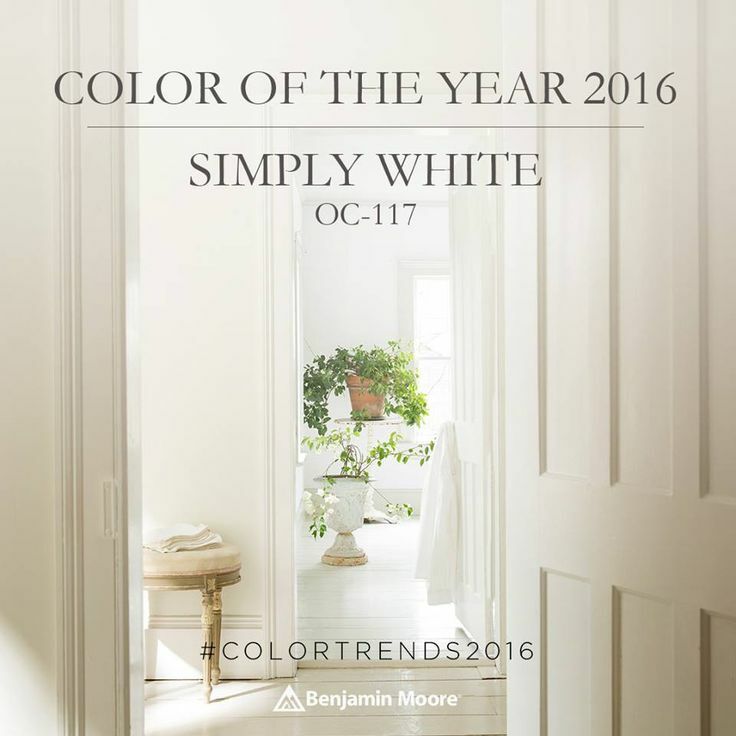 The color of the year for Benjamin Moore ended up to be Simply White; her “baptism by fire” into interior design was being hired by Ralph Lauren as a freelance stylist to help design the vignettes that their tabletop collection was using. Ellen was supposed to have a 3 weeks contract, which turned into 13 years. Ellen talks about her background with Ralph Lauren, and how that has helped her with her current position, especially with her knowledge and experience with color. She discusses how she picks colors for color pallets; she tries to embed color theory into her schemes. Ellen also looks at other trends, like what’s happening with bedding trends, lighting, and furniture, etc. and how that affects the colors she chooses. Ellen and Nick discuss the press that was received regarding the color of the year, which was simply white this year. “It was a really important color discussion for the interior design community.” Ellen talks about how a lot of other paint companies outsource to color trend forecasters, however she states, “I want our stuff to be original and I also want it to reflect the color conundrum that we read and answer questions about from the consumer, so I want it to be true and authentic and applicable to people’s design issues, so color forecasters don’t necessarily dig down onto that level. We look for different signals.” Lastly, Nick asks Ellen what colors she chose to paint her apartment, tune in to hear!